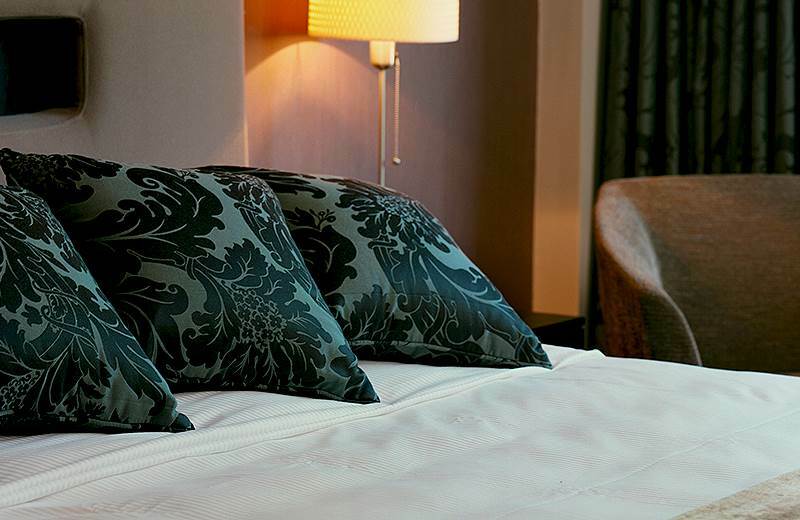 Oozing style and luxury in abundance, our 48 boutique-style rooms evoke the essence of elegant West coast chic. Bespoke furnishings and handcrafted pieces by local artists sit side-by-side with state-of-the-art technology from complimentary Wi-Fi to mood lighting. Sink into a Sealy super king size bed, piled with crisp cotton sheets, plush pillows and a fluffy goose down duvet for the best night’s sleep. Choose from our six categories of fabulously stylish rooms and chic suites, guaranteed to meet the needs of even the most discerning traveller. Guests are treated to a little extra luxury in our sumptuously stylish Luxury Suites, making them perfect for couples on a romantic getaway. Our Marvelous Suites are wonderfully comfortable and spacious, appointed with all the comforts of home, including a fridge and microwave. 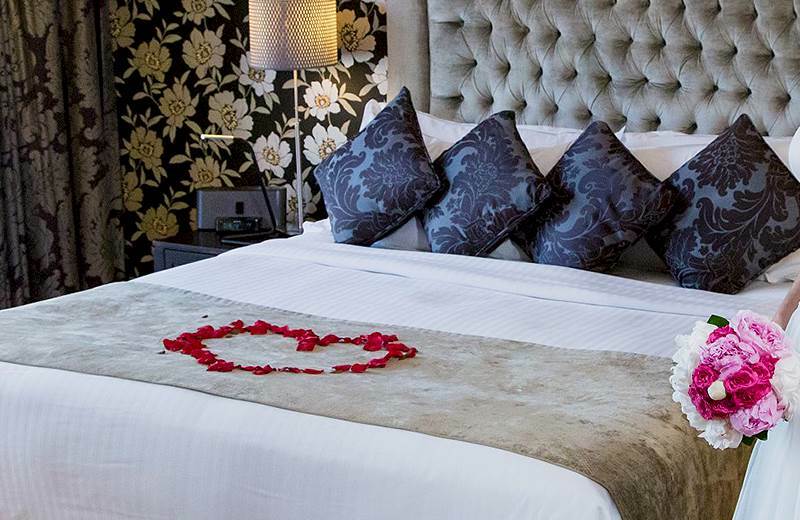 Indulge a little while the two of you unwind and spoil yourselves in our Funnymoon Suite. In addition to the usual Twelve ingredients, our 2 Bedroom Suites feature connecting rooms for extra space and comfort. Winner - "The Best New Hotel in Ireland" 2007 and ever since:- 'The Best Boutique Hotel in Ireland' - The National Hospitality Ireland Awards. 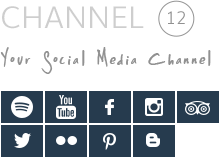 The Twelve offers luxury hotel accommodation with 48 boutique style hotel guest rooms for you to be pampered in, to work in and to play in. As one of the finest AA approved hotels in Galway, our goal is to ensure our guests are as efficient on the road as they are in their offices or at home. Within a suite design unique to The Twelve, specially designed furniture and handcrafted delights by local artists sit side-by-side with all the high tech essentials necessary for work and play during your family breaks or business stay in Galway. 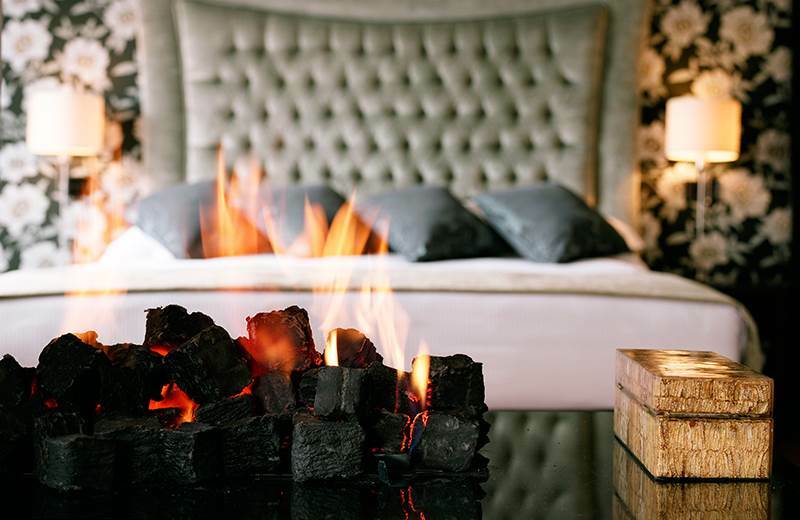 Let your needs and desires determine the type of room you choose; as one of the most luxurious four star Galway accommodations, The Twelve promises relaxation, stimulation and fun for everyone. You can choose between the Splendid hotel guest rooms or four very individually chic suite types at The 4 star, 3 AA Culinary Rosette winner The Twelve. 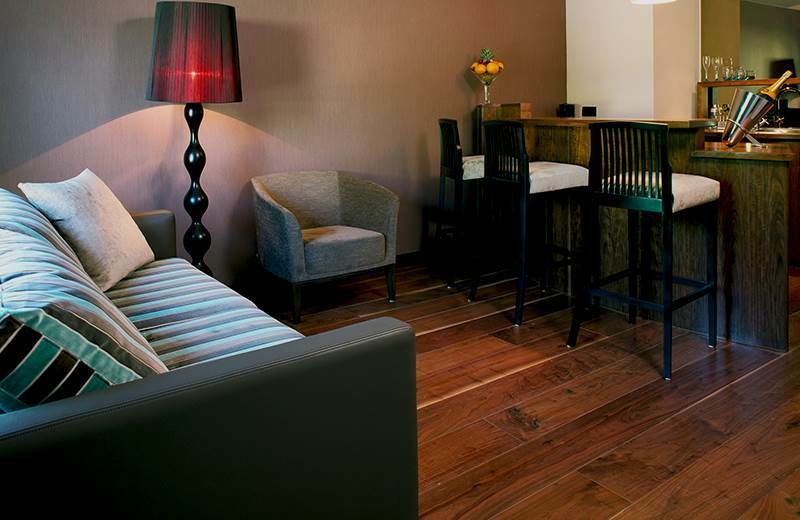 For couples, we have designed The Luxury Suite which comes with a full 'pull up a stool to the bar' in your own suite at our hotel. 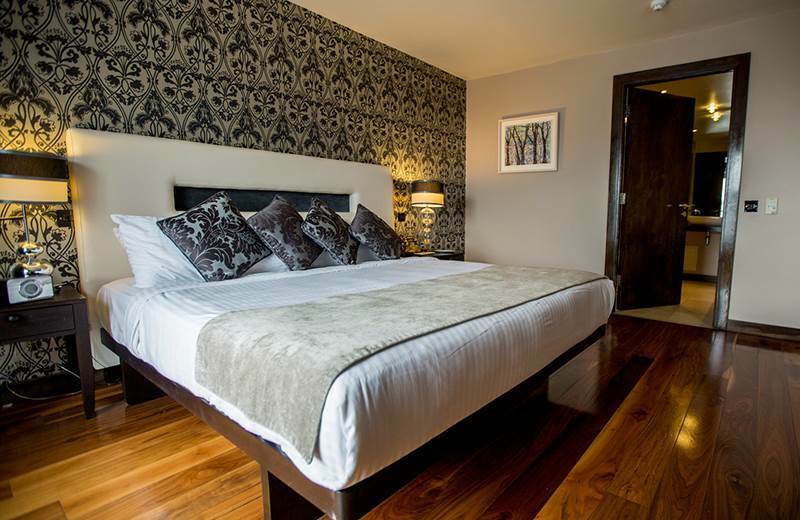 The Twelve is one of the most family friendly Galway hotels, featuring the ideal type of Marvelous Family Suites which are available as either one or two bed-roomed Family Suites. The Funnymoon Suite - need we say more! You can even conduct impromptu business meetings as the suites are designed as perfect business environments. 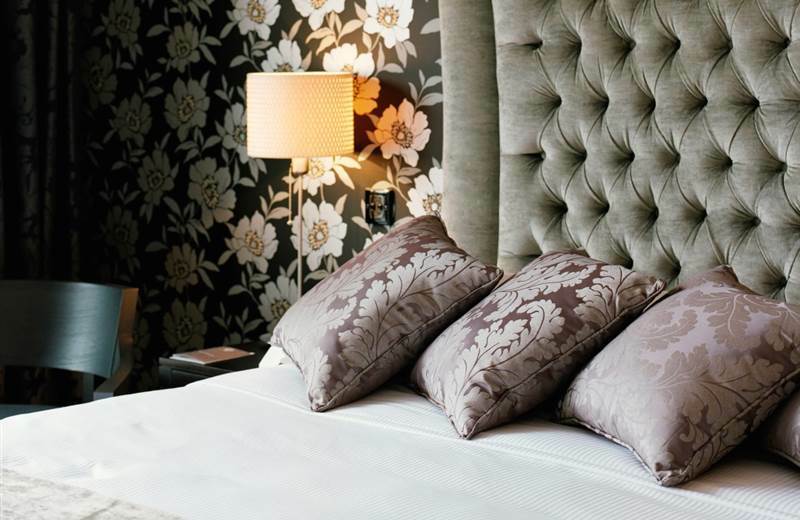 Once you're done with business, move on to pleasure with the complimentary goodies in the luxurious bathrooms, chill with a great DVD or plan an activity from the wealth of outdoor activities that Galway is famous for, including shopping and golfing. Why not try a spa treatment in Le Petit Spa of the most acclaimed of hotels. And hey! not only is the parking complimentary but the wi-fi is too at one of the finest boutique hotels in the country. Enjoy!